Fort hose of you who are currently lacking some Black Ops 2 action in your life then the game is currently on sale on Steam for £26 or $40 for the standard game or £37, which is $54 for the Digital Deluxe edition. 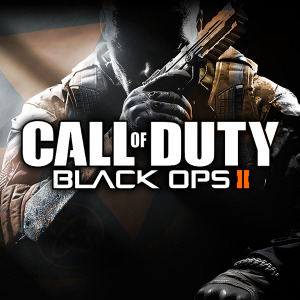 In addition to that Black Ops II multi-player online will be free all weekend and you can get double XP at the same time! Three UK have announced pricing plans for the HTC One! The device will be available for £479.99 on pay as you go or it is available on contract from £34 per month! Check out all the plans here! Nokia is supposedly going to target the low-end smartphone market in a bid to maintain market share in the face of stiffer competition from Huawei and ZTE! Nokia's new Music+ service has gone live in the UK, Ireland, US, Norway, Sweden, France, and Italy for the total of £3.99 / $3.99 / €3.99 per month! The service has been live in America for the past three days! Since HTC's new One has arrived its older One X sibling has been getting price cuts here and there. You can now pick up the One X for a very reasonable £23 on contract! Check out all the information here. And finally, Huawei have teased a little of their upcoming announcements for next weeks MWC! The device pictured in the tweet below shows off 'beauty in curves'. We must admit to preferring out tech angular, but each to their own!